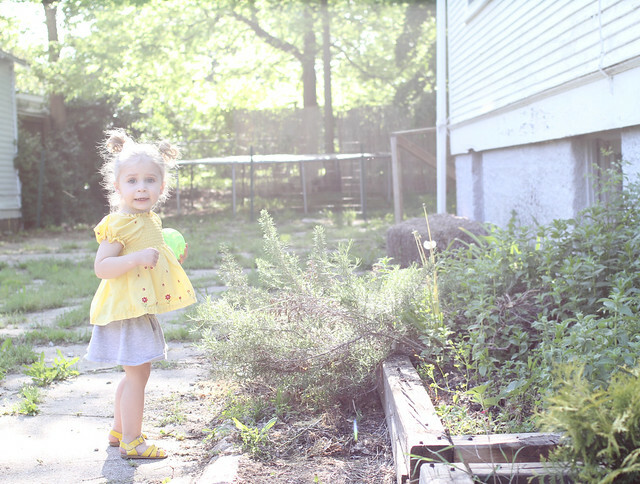 Things that are really good in life right now: **Having the cutest garden helper. Poe waters plants with the best of them. 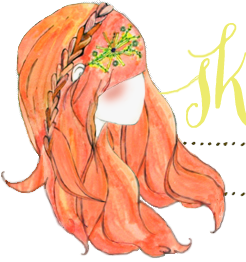 (AND, I have since weeded my garden. That mint got crazy out of control.) 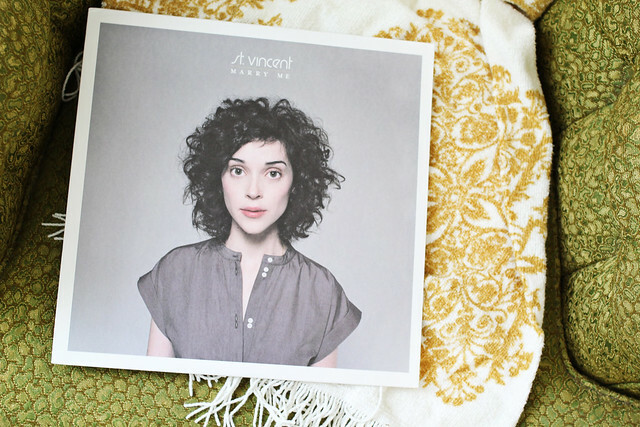 **St. Vincent "Marry Me" on vinyl. This is the only one I hadn't acquired and it was a happy surprise on a kind of bum day. 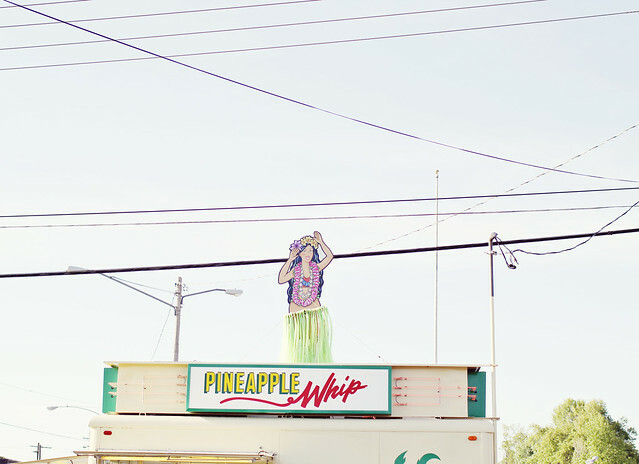 **Pineapple Whip. 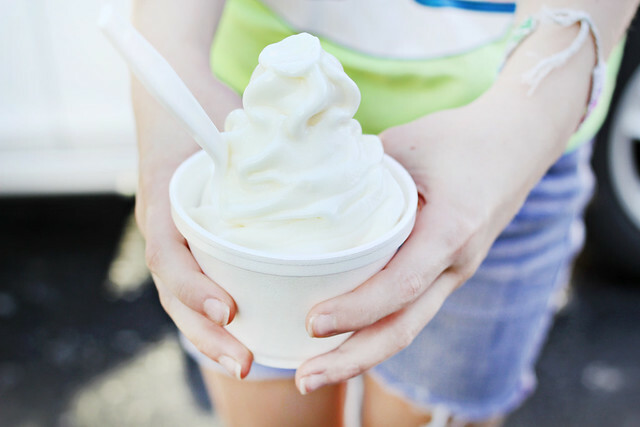 I love that it's warm enough for shorts and ice cream (or whatever Pineapple Whip is). I still get excited about summer, even as an adult. Mint will take over everything! It's kind of like a weed. Their "roots" (runners) are very invasive. Your little girl is just the cutest! 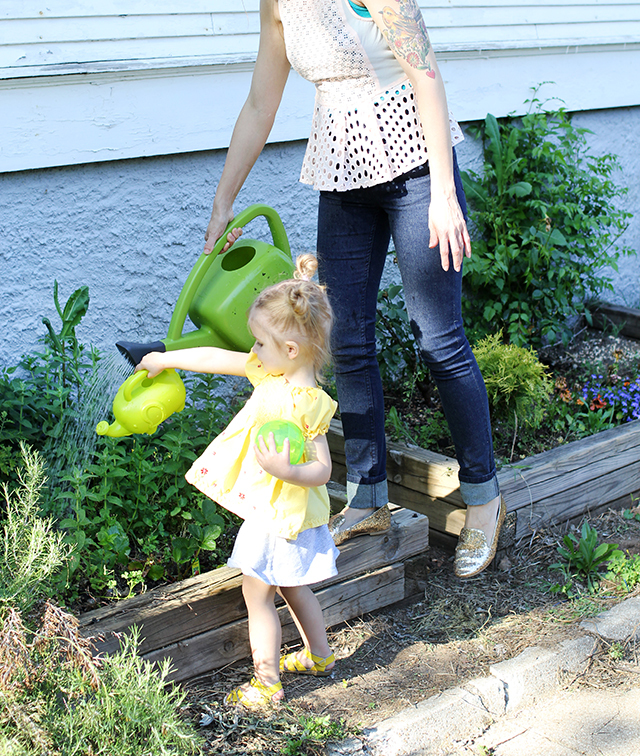 You have the cutest little garden (and garden helper of course)! Mmmm, MINT!!! We had mint grow wildly, as well, in the past. Right now, all I truly want to blossom is my cucumbers, Jen's pumpkins, our sage, and our lavender! Sweet corn would be nice too, as would hot peppers, heh! Such great pictures! What a lovely time- summer makes everything great! Put your mint in a container or it will continue to spread. I agree with the commenter above. Potting mint in a container with prevent it from taking over your whole garden! Love that first shot! So precious. ...what's pineapple whip? It doesn't matter, I want it anyway. I agree! I get so giddy when it is starting to get nice out! The projects just start flying out! I love summer and getting ice cream too. The other day our apartment was so hot, I was like "let's go get ice cream!!" and my husband looked at me like I was nuts. He is obviously the one that is nuts. a tip for mint-gardening: put mint in a plastic-pot (a bit bigger as the plant. so there's still space to grow) and dig the pot in the garden. so it's granted that your mint keeps "in place". Your little Poe is seriously the cutest thing ever. I'm in love with her! i love st. vincent. that album especially is one of my favorites. it'd be so cool to have on vinyl!